Dolgeville, NY-Mr. Richard D. Ortlieb, age 79, of Hopson Road, a United States Veteran, passed away peacefully on Monday morning, December 26, 2017 in the comfort of his home. He was in the presence of his loving wife, Monica Ann (Mocko) Ortlieb, at the time of his passing. He was born on Jan. 15, 1938, son of the late Alice and Edward Ortlieb and educated in Stratford Central School until his senior year when he graduated from Dolgeville Central. Shortly after graduation, Richard enlisted with the US Navy. One of the highlights of his Navy Career was when his ship transported Elvis Presley to Germany. Richard learned to become an electrician in the Navy and continued that career after being honorably discharged from the Navy. He was an electrician for 20 years and then became an electrical inspector for the New York Board of Fire Underwriters. He met the love of his life, Monica A. Mocko, in Sept. of 1962 and they wed on June 22, 1963, a blessed union of 54 years. Richard enjoyed family visits and time at his camp in Jerseyfield, where he would hunt and fish with his sons and grandchildren. He was also a member of the Salisbury Ridgerunners Club and Rod and Gun Club. Mr. Ortlieb leaves his wife Monica; his children, Richard Ortlieb and wife Stacey; Kevin Ortlieb, Ryan Ortlieb and wife Michelle, Tracy Ortlieb and companion, Douglas. He also leaves his grandchildren, Amanda and fiance Matthew, Kyle, Chris, Andrew and companion Taylor, Trevor, Dillon, Jordan, Jacob, Aidan and Brody. He has one great grandson, Andrew Richard Ortlieb, Jr. He also leaves his brother, Edward Ortlieb and wife Sandy, two brothers in law, Harold Lacek and Steven Mocko and wife Cassie as well as many nieces and nephews. He was preceded in death by his father, Edward, mother Alice and his sister Annabelle Lacek. 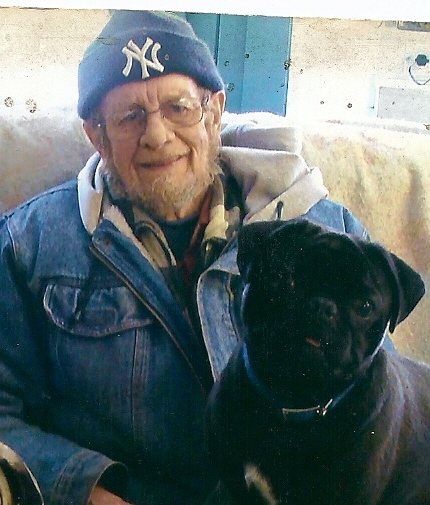 Richard also leaves his favorite companions, a black pug named Felix whom went everywhere with him. In keeping with Mr. Ortlieb's wishes, there are no public services. Mohawk Valley Funerals and Cremations, 7507 State Route 5 (town of Manheim) between Little Falls and St. Johnsville, 315-508-5131 has been entrusted with Mr. Ortlieb's funeral arrangements. Please offer condolences by clicking to the left.